Pepe's Lounge is exactly what it says it is. A lounge. And it's Pepe's. It's a room filled with just about everything a King Prawn could possibly want. And it's now on-line at www.ljsilvers.com. After successfully filling in the code from the Long John Silver's Web site (the code is "howcanyouresist"), you can enter Pepe's most intimate setting. A lofty room features a Andy Warhol-like painting, an electric blue leather couch, a large aquarium, stereo, and even a zebra print rug. A definite bachelor's pad. Pepe of course is there holding his favorite Long John Silver's beverage with an audio introduction. A simple device on the right hand side of the screen allows you to play with the lighting in the lounge to set the mood just right. Of course it's not just all about the lounge, there's plenty of scrumptious fish to go around. For those who have been unable to catch the witty commercials on tv that Pepe stars in, here's your chance. Seven different commercials are available for streaming via RealPlayer. Like Pepe says, even a shrimp can't be perfect all the time, so two different bloopers are included for download as well. And my personal favorite is the screen test. 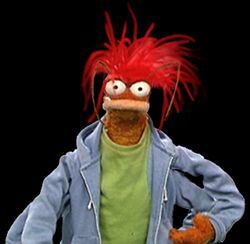 Here, a clip shows Pepe as he auditions for the part of "spokes shrimp". However this is just the beginning for Pepe. Fans can look forward to a new Pepe plush that will be available at LJS restaurants later this Spring. And hopefully, we'll be seeing additions to Pepe's Lounge as he continues to grow in popularity.